Philosophy is an immensely versatile discipline which draws on many spheres of life and thought. In my scholarly projects and in my work with students I emphasize the interconnectedness of different intellectual traditions and approaches. My current program combines existential philosophy and psychology. This is a new direction for me even though I worked in related fields in the past. 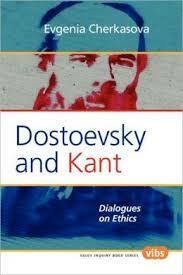 For example, my book on Dostoevsky and Kant deals with existential topics such as freedom of choice and its ethical implications, the problem of evil, and the tension between the individual and the community. Now the focus of my research is on the issues of authenticity, self-deception, subjective truth, and loss of meaning. This portfolio by Marie Marbæk Johansen is licensed under a Creative Commons Attribution-NonCommercial-ShareAlike 3.0 Unported License.